Perry Fiberglass Products manufactures high quality FRP Ductwork products including FRP Piping. Experts in designing and manufacturing odor control and air pollution control equipment. 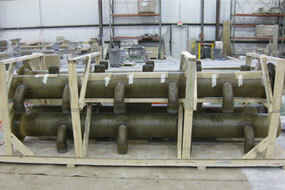 Perry FRP piping systems are engineered for corrosive and abrasive applications. These applications have been widespread within the industry for more then 30 years. 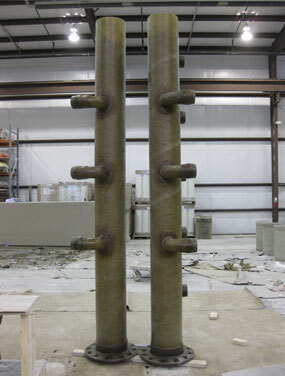 FRP piping has superior corrosion resistance. When compared to metallic piping, FRP can be more economical then stainless steel, titanium, and other exotic alloys. This is why industries such as pulp and paper, mining, chemical processing, power, and water plants have successfully chosen to utilize FRP piping in their process systems. 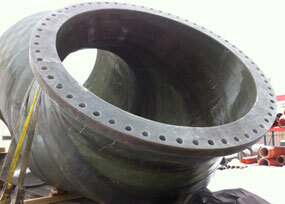 The helpful staff at Perry Fiberglass will work with you to determine the best solution for your FRP piping needs.